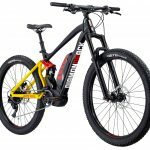 this is a m1 spitzing, the new model is the evolution with 920w motor and 1050w batt r class but you will get the idea with this also on the new flyon haibikes same motor just restricted for uk. don't think it would suit me, I very rarely used power mode on my Yamaha pw motor (80nm). Think the biggest con would be the size the battery you would have to use due to the power. I wouldn't like the new fly-on, albeit heading in a direction that may give us more range in miles. The Zesty, think I may have chose this bike a few years ago if it had been around. 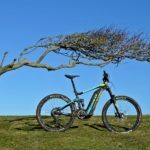 I think good things coming from the world of E-MTB's the more stuff they come up with the better. 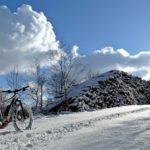 I think its a good thing that Ebikes are not just Ebikes. It's good to have a choice of assist power and weight to suit more styles of riding. Got up early today to nice a morning to miss out on given the recent yucky weather and did a 30 miler on the haibike. Country lanes, as much single track as able to around here, demanding hill climbs, elevation on 1385 ft and then back home, bike cleaned and now sitting and chillin. With both of us being nurses we sometimes don't get to go out together for 12 maybe 14 days. next time off to do mountain biking will be next weekend so it's useful int the interim to stay as fit as possible. The Haibike (no fly-on though) still serves a purpose. The new HaiBike FlyOn which features the TQ motor has just been tested. It is great for acceleration but will obviously reach the usual limit of 25kph just like all EBikes. Unfortunately it used the juice quicker because of its available high acceleration and it's weight of 62 pounds (yes that weight is correct !) This despite the carbon frame. There are some great innovations on the bike like the display and the built in lights but it is a step back with that weight. We need range and low weight. Order cancelled ! thats 28.1kg so 7kg more than the bike i have atm and i still think its to heavy pmsl. if i had the choice of the new haibike with the tq motor or use my bike for a ride round the forest id choose my bike every time just because of the waight alone. and then there is the prices 10k plus is not value for money if you add all the parts up as a fair whack is just going to be for the frame/name/brand. Totally agree sound wave. Keeping my Haibike allmtn, 2 years old with dongle. nothing grabbing me at moment.